How do bees behave in the Spring? Well, in an ultra productive way—and with a lot of flowers. Honey bees and flowers have a longstanding relationship. For millions of years honey bees have been pollinators of flowers and, thus, the plants producing the flowers have relied on bees. 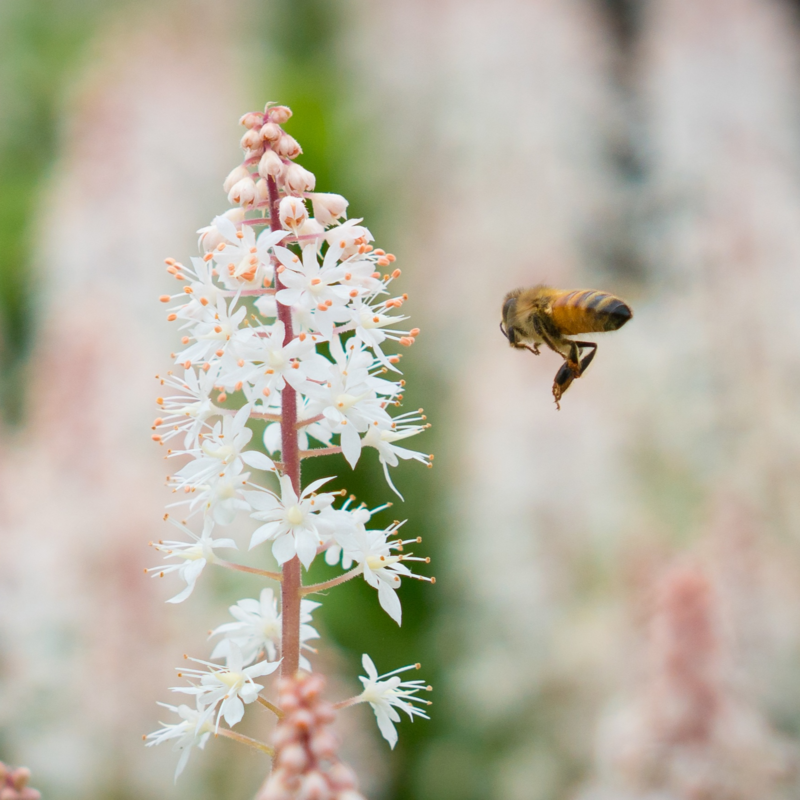 The goal of the plant is reproduction; the bees help accomplish this by unwittingly transferring pollen, a plant's male sperm cells, from one flower to another. Without pollination, many plants would not be able to procreate and eventually would die out. Bees prevent that from happening—especially in the Spring. But flowers have some Spring time behavior, too. Flowers often attract bees through their color and the promise of sweet nectar. A great number of flowers produce colors that fall into the ultraviolet range which are not visible to humans—but are to bees. Flower shape can also play a role; some flowers are shaped for specific pollinators like bees where the pollen-carrying structure on the plant is positioned perfectly to deposit pollen on the insect as it crawls into the flower. Plants also can use fragrances and odors to draw bees to them. Sound complex? Such is the beautiful life of bees and the Spring flowers that attract them.